This has been one of my favorite looks of 2019 so far! I found this super cute vintage tiger print sweater and paired it with my lion medallion heels. 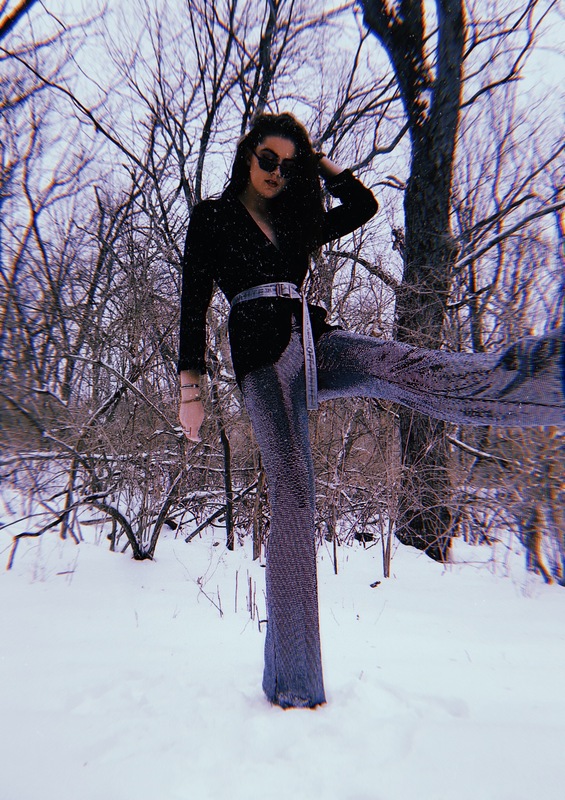 I love layering tights under everything so it ties the whole look together while staying warm in the KC snow. I was inspired by 90s fashion for this outfit! 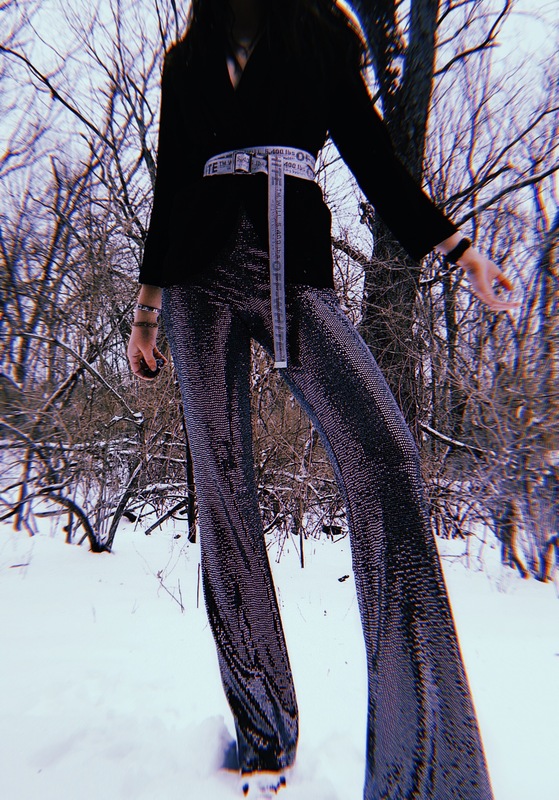 I layered a sparkly top over a mesh shirt with a chunky necklace to keep that Paris Hilton vibe alive and added the most amazing lavender snakeskin flares to make it fashionable. To top off the look, I threw on my favorite pair of chunky white sneakers that I wear like everyday. Recently, there have been a lot of fun trends out there and one of my favorite, and also most easy to accomplish, is wearing a long sleeve shirt under a short sleeve one. This is how I dressed when I was in middle school and I always looked back and cringed but, I think if styled in the right way, it’s a fun way to dress up a boring tee.